Brush modifiers are an easy way to change the shape, size, rotation, color, pattern and texture of brushes. Choose a Shape ArtSet. 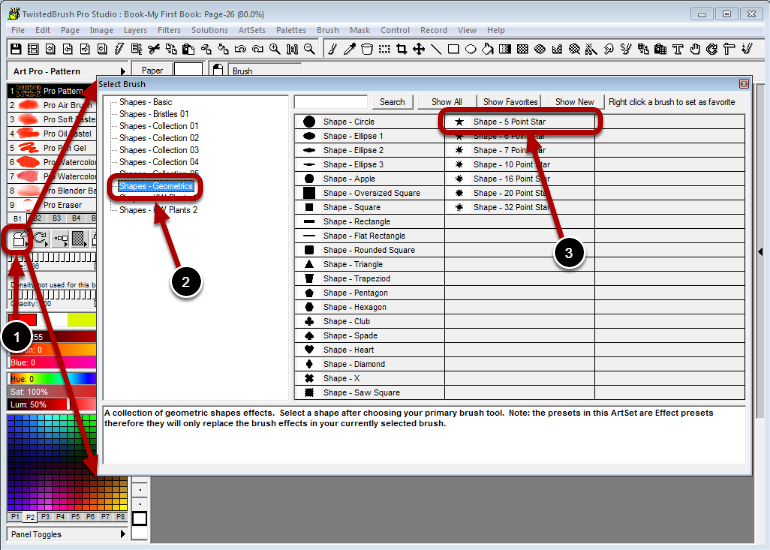 Notice that when using the Brush Modifiers the Select Brush dialog will be automatically filtered to only the ArtSets that are applicable to that modifier type. Select the shape to apply to the brush. 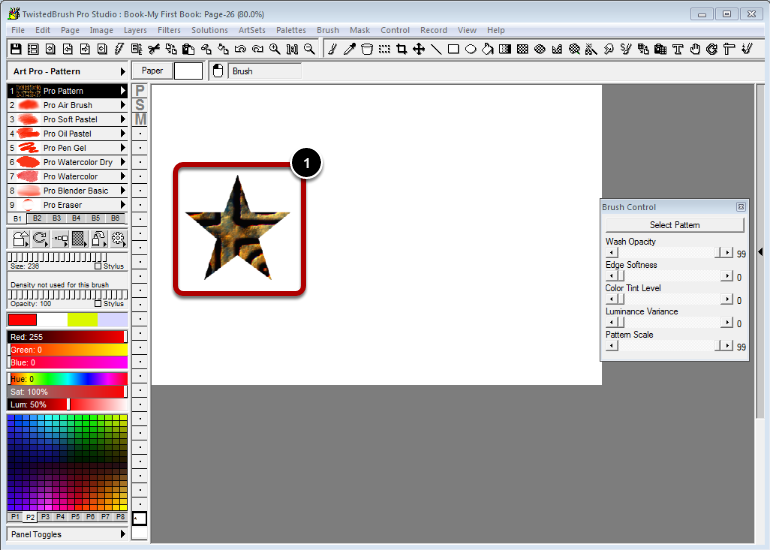 In the previous step the star shape was selected from using the Brush Shape Modifier. Here is the result of using the brush with the shape applied.